We are engaged in providing services such as electronics equipment insurance. Electronic equipment can be very expensive and is easily susceptible to theft and damage. • It covers accidental sudden and unforeseen physical loss or damage to electronic equipments and data media from any cause, other than those specifically excluded. UniSafe Insurance Brokers Pvt. Ltd.
People owning costly electronic equipment can avail this policy. The risk covered under the electronic equipment insurance. In todays day and age, technology is the backbone of most businesses. It is hence critical for companies to evaluate the risks that their electronic equipment, computers or other data-carrying machinery may be exposed to, and to take suitable steps to protect them. Electronic Equipment Insurance Policy covers Electronic equipments owned by you or for which you are responsible. People owning costly electronic equipment can avail this policy. The risk covered under this. - Electronic equipments such as Computers Medical Bio-Medical Micro Processors Audio-visual equipments etc. 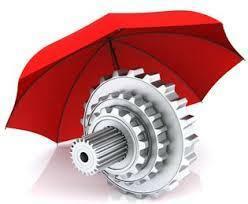 We provide advisory related services for Electronic Equipment Insurance to various industries.